This is the Framework of the timetable window. For a description of the buttons please scroll down. 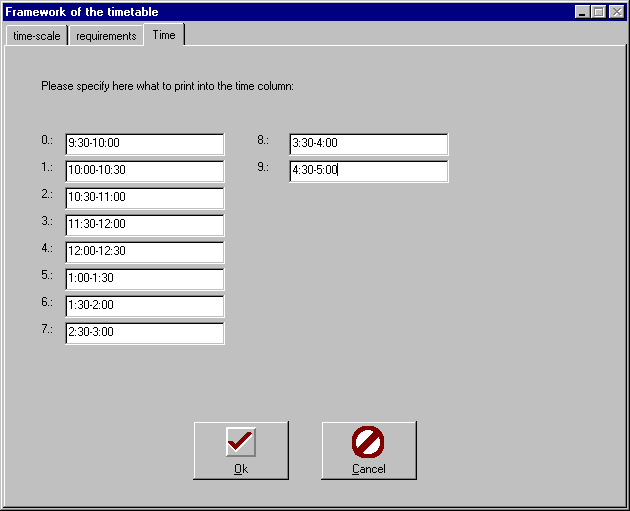 Window of Time in the framework of timetable menu. This Button will Save Data and Return to Main Screen of TURBO Planner. This Button will Cancel the operation and return to Main Menu Screen of TURBO Planner.